After only four months of service AFOP’s 18 SAFE AmeriCorps members have already made a major impact on farmworker communities. So far, SAFE AmeriCorps members have reached almost 18,000 agricultural employees through a variety of services. 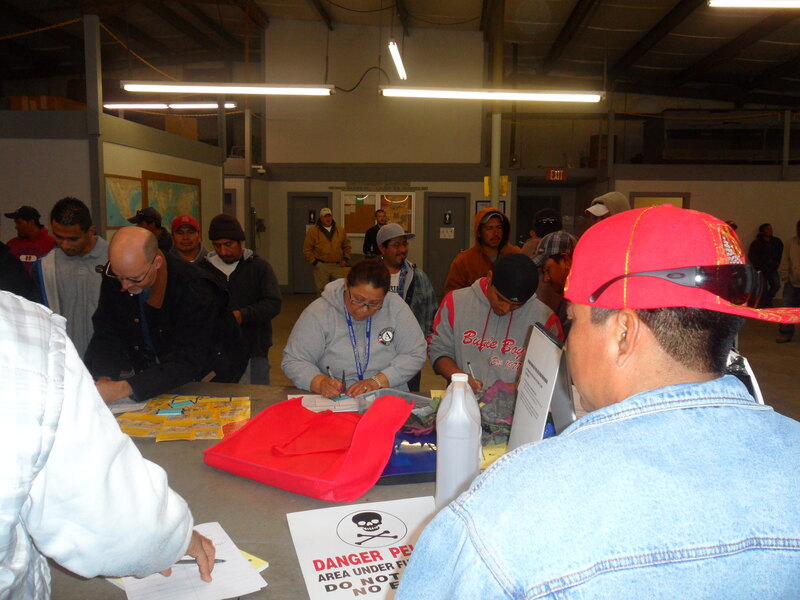 Farmworkers have participated in health and safety trainings in pesticide, heat stress prevention, and take home exposure. 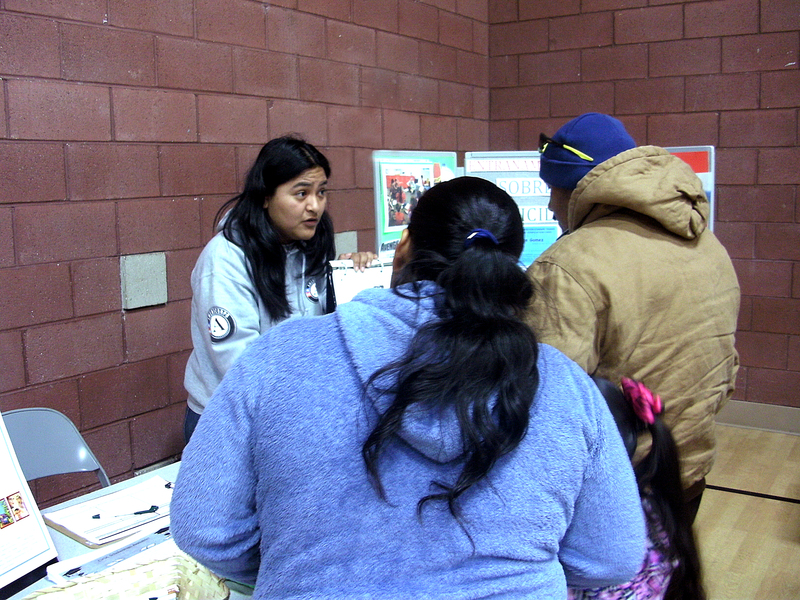 They have also participated in health fairs, César Chávez day celebrations, and received direct services such as translation, transportation, and referrals to service providers from the SAFE AmeriCorps members. 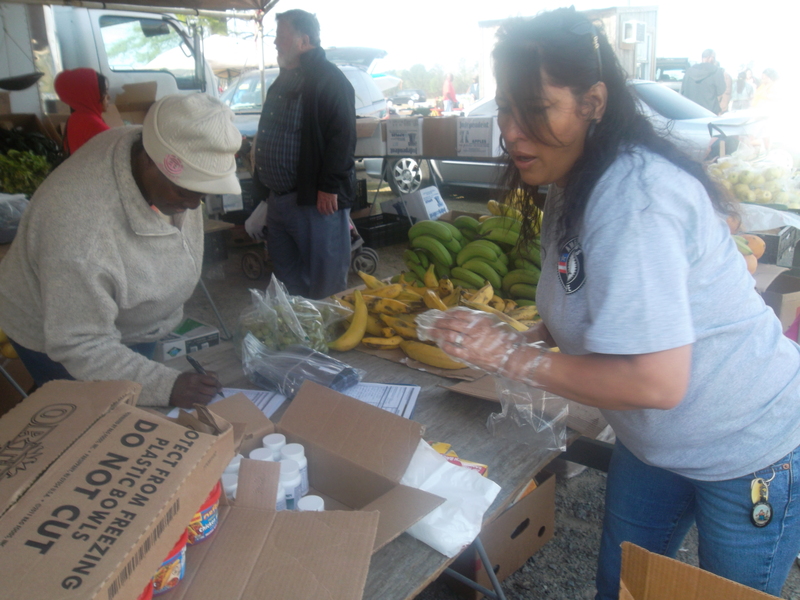 We are extremely proud of their efforts and commitment to farmworkers. 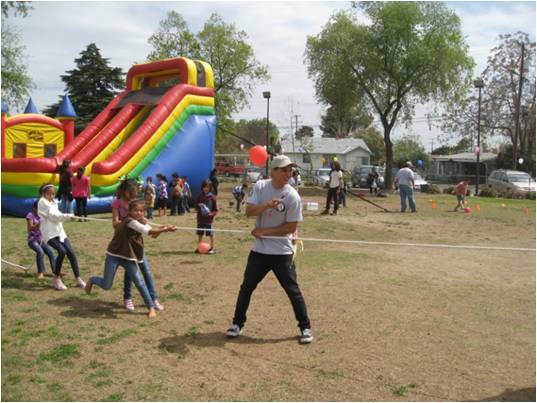 In March, our members conducted various activities to commemorate César Chávez, including children’s fairs, health trainings, informational booths at health fairs, and presentations about the work of César Chávez. 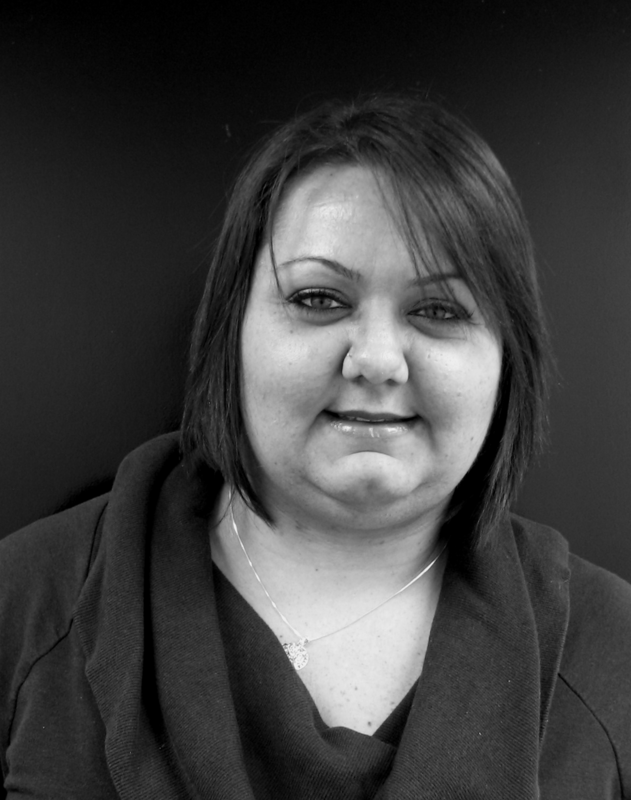 According to Dina Gonzalez, a SAFE AmeriCorps member at Telamon Corporation in Maryland, many farm workers did not know who César Chávez wasbefore her presentation. In Florida, Kathy, Neri, and Brianna, our three SAFE AmeriCorps members at RCMA, discussed the consequences of heat stress with women working in the field. The women mentioned that they don’t drink water while they work, because they want avoid using dirty bathrooms or, when there are no bathrooms, urinating outside in the fields. Upon hearing this, our SAFE AmeriCorps members sprang into action, distributing cones that help farmworker women urinate while standing up and avoiding contact with the dirty toilets. In April, three SAFE AmeriCorps members at Greene County Health Care in North Carolina participated in the Heat Stress Training Marathon as part of the Department of Labor’s national campaign to prevent heat stress among workers. Luz Maria, Imelda, and Santiago trained over 800 farmworkers in heat stress prevention in just five days! On the other side of the country, our SAFE AmeriCorps members at Proteus Incin Californa, Araceli, Nancy, Guillermo, and Lucio trained over 500 farmworkers in the same amount of time. Nationwide, 2,200 farmworkers were trained in heat stress prevention in just one week- almost tripling the goal for the week. Just last week, our members held different events around the country to promote community service in their own communities. Activities included distributing food at a homeless shelter and at the Salvation Army, holding a long sleeve shirt drive, participating in health fairs, and cleaning parks. In June, 12 new SAFE AmeriCorps members will join our team in Idaho, Maine, Maryland, North Carolina, and Virginia. It’s amazing what a small group of committed people can accomplish when they have a common goal of serving farmworkers. SAFE AmeriCorps members show us that each of us have a responsibility in making this world a better place for all. We invite you to become involved with our SAFE AmeriCorps members or join a volunteer group in your community. We can all make a difference by donating a little of our time. For more information about upcoming SAFE AmeriCorps activities or how to become a SAFE AmeriCorps member, please contact Melanie Forti at forti@afop.org. This entry was posted in Health & Safety Programs and tagged AmeriCorps, Cesar Chavez, Heat Stress, pesticides, Proyecto Sol, U.S. Department of Labor. Bookmark the permalink.